Maria Konnikova’s article “Altered Taste” follows the story of a restaurant, The Fat Duck, redesigned in the hopes of altered customer’s reception of their food. Konnikova parallels The Fat Duck with neurogastronomy or the concept that flavor and taste “do not originate in what we eat but in what our minds derive from the experience” (11). This article points out the complicated relationship between the brain, the food we eat, and our relationship to both things. Konnikova focuses on the importance of neurogastronomy, and what this research can mean for the food we digest. What aspect of Konnikova’s article did you find most useful or interesting? Why? As an individual who's interested in both food and science, this article appeals to me especially. Neuragostromy is the study of flavor perception and in turn, how it affects cognition and memory. Based on the principles of this emerging field, The Fat Duck's reimagined approach to food, in that they presented their dishes as a complete experience or a "story" was very unique and I'm curious to see if the presentation actually changed the flavor profile of the dish. Barry Green's of Yale, a psychophysicist, work on the thermal sensitivity of the mouth (our perception of hot and cold) was also very intriguing (19). This is a concept that I've never thought about personally, but temperature change can influence how sweet we think something is. Seeing that this was completely new to me, and I appreciate both ice cream and soup, I would say that this was the most interesting part of the article to me. Konnikova’s article was an interesting read because it was able to lead your thoughts to what was said in the article. This quote as follows had me thinking: "Control flavor and you control what we eat-and perhaps, given time and more research, begin fighting the global nutrition problems that are a direct result of the industrialized production of food" (12-13). Food is a very important part of people’s lives, culture, and society. Konnikova’s article is very useful and interesting in the fact that the study of the connection between flavor of foods and brain connection is very important. This article even got me thinking past that and how this study can maybe help people who suffer with memory problems too. I love food and learning about everything that goes with food. So, this article was a treat to read. My favorite part of this reading was when Konnikova talked about different ways of cooking different substances that make them sweeter, saltier, or spice (pg 18). Even just a hint of a certain spice can turn a meal from one flavor to another. I have never, ever heard of the concept of neurogastronomy or anything of the sorts, and I find the entire concept interesting. For starters, the term is only about a decade old, so this is a relatively new scientific study (11). I like reading about new research because it shows how much we can learn about seemingly random topics if we choose to dig deeper. For example, we are taught from a young age our five senses, taste being one of them. How many of us go further on to discover the origins of those senses rather than just accept it as common fact? Even I, an anatomy student who can point out tastes buds on a microscope slide, would not think to inquire on where/how such senses originate. I had no idea taste was such a little-understood concept, and I am interested to see what other research theories surround the topic. One major component of this excerpt that stood out to me right off the bat is the overall message about how science can be used to Segway us into major discoveries. As it is mentioned here, Konnikova mentions using science to improve the taste of the foods that we eat. I find it cool how the author is using personal experiences to help describe the process too. I found the article very interesting because you never really think about the experience of eating food, normally you just eat whatever is in front of you. However, the article pointed out that the way you experience the food is almost as important as the food itself. The whole concept of neurogastronomy can lead to studies and findings that could ultimately lead to a healthier way of living, which is desperately needed in today's society. The most interesting thing I found was the link between the brain and the gut and how important and related it is. I am an Exercise Science major and nutrition is an important part of my life. The food we eat can determine both mental and physical behavior. If people better prepare their diet they can be a more rounded individual. The most interesting thing I found in the reading was the explanation of the "thermal taste" phenomenon (19). The fact that temperature can evoke flavor in the tastebuds is something I never thought about and gives me an explanation as to why I like certain foods, though makes me question why I like other such foods - for example, do I prefer iced coffee over hot due to the actual temperature, or is it due to the differences in flavor thanks to the temperature? The thing that I thought was the most interesting In this article was all the different experiments he did to the food. Out of all the experiments I thought the most intriguing was the thermal taste. "The flavor is intense the pleasure surprising and the relatively lower levels of seasoning deliver a flavorful experience perhaps most surprising of all" (pg 19). I didn't know that the temperature of food effect how are bodies perceive the taste. I didn't really think much about how much science is incorporated into our everyday lives. This thermal taste just show the amazing things that our bodies do for us without us really knowing that it is happening. The most interesting part of the article for me was reading about neurogastronomy and the idea that taste does not originate in the mouth. In the article Gordon Shepard said, "Our sensory and motor appreciation of what we have in our mouth is created by the brain" (12). I thought this was interesting because many people don't understand the connections the brain has to all of our senses including taste. It is interesting to know that not only is someone studying the relationship between taste and flavor, but the significance behind the idea that a healthy diet that is tasteful. It had not crossed my mind that in a way I could trick myself into eating healthier because I would assume I'm aware of the idea. The author touches on the world's dietary problem and how many health issues could be resolved just by this type of science. It would be nice for this research to become more globalized and heavily enforced. when I read this, I knew before hand that of course we eat with our eyes first. I did not know that it went to the extent that it literally made food taste differently. I thought it would simply deter someone from trying that food. But from the study that showed that taste is actually altered due to what we see (15), struck me weirdly. I guess that is why the new restaurants that have people eat in the dark are so popular because it makes people experience food in such a different way than normal. It is kind of cool really. One part of this article that I thought was interesting was when the author was discussing how different temperatures or how things smell influence the way we think about the foods. The example, on page 20, was with vanilla. "Vanilla isn't actually sweet. It's quite bitter. But in the western world we have come to associate it with sweet foods, and so to us it signals sweetness" (20). This was very interesting to me because I had no idea that vanilla was really bitter because we only ever really eat it with sweet foods like deserts and things. That example that Konnikova uses really helped explain what she was talking about and I thought it was something totally new that I learned. It was interesting learning about the ins and outs of neurogastromy in this actricle. I had never heard of the word before or the concept, so I felt good reading about something I didn’t know much about. Apparently, this research is only a “decade old” so it’s relatively new (11). Taste is such a rarely discussed topic so it was enlightening to read about it in this article. I found the distinction between taste and flavor quite interesting in the article. According to the article, "Taste is an experience composed of only five elements:sweet, salty, bitter, sour, and umami...taste is merely a flat, single-note sensation...Flavor is at once a broader and more powerful property than taste, one that marries the senses and their associate properties... (p.12)" I found this a bit intriguing due to the fact I've always considered them as interchangeable. However, I understand the distinction. I normally tend to associate food and fruits with a scenery or experience without ever giving much note to it. What I found interesting after reading Konnikova's "Altered Taste" was that the foods temperature can cause the food to taste different. 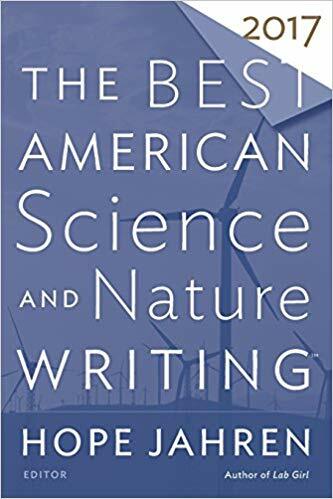 On page 19, it reads, "Two things can happen physiologically when the sensation of either warming or cooling its tongue. In the first case sweetness increases, while in the second the perception of saltiness becomes more intense. I thought this was interesting because I never knew temperature affected foods in this way. This article was really interesting to me because I love food. The part that was interesting to me was when the author talked about flavors and how it connects to our brain. I like how the type of food that we like may be because of how our brain processes flavor. I also thought the fact that taste done to originate in the mouth a very interesting finding. The article states, "Our sensory and motor appreciation of what we have in our mouth is created by the brain" (12). Regardless of the topic, if food is involved I'm interested. What I found most intriguing though was the likeliness of change in taste of an individual's food simply off of looks and presentation. I think it's quite common that we eat with our eyes first, nowadays the phone eats first sometimes too; something looks so good it has to be documented first before being indulged into. Nonetheless, it's crazy to think how strong our brain is to be able to manipulate how something tastes based off of our perception of the food. It makes sense though, I feel that everyone inherently wants their food to look good, it's unappealing when it's not. I found the science behind why we crave certain foods and why some foods take better than others very interesting. When I thought about the foods I often eat and the feelings I get when I eat them, the article made a lot of sense. I also thought it was interesting how Blumenthal used techniques like lighting, texture, color, and sound to manipulate your brain to make you feel full while eating smaller portions. After reading through the article, what stood out to me was the part about the study done by de Araujo on mice. By in one case there was water with sugar and water without and one group of mice were engineered not to be able to taste the sweetness of sugar still favored the sugary water over the plain because the brain knew that the sugar water had calories in it. This was interesting because I never would have thought about how our brain is not easily fooled. Our brain can easily tell the difference from "real calories and the taste of calories". Food is a necessity that often times many people take for granted. Often times people neglect to think about the process that our food goes through before being before us. The one experiment that stuck out to me the most was the thermal taste. Many times I can eat certain foods cold but others they have to be very hot in order for me to enjoy them. In the article it says "The flavor is intense the pleasure surprising and the relatively lower levels of seasoning deliver a flavorful experience perhaps most surprising of all" (pg 19). This is just another way of showing how science and technology is incorporated in almost every aspect of our lives. One of the topics in the article that I found the most interesting was how the temperature of our food greatly affects how we taste. On page 19, Konnikova stated, "We have fibers that get excited when we warm them up, which might make a food or liquid taste sweeter than its sugar content warrants." There are so many cold sweet food and drinks people consume and I have never considered that these food products would taste sweeter if warm. Also, this might explain why companies put so much excess sugar in their snacks or drinks since they know their product will likely be consumed while cold rather than warm. I think one of the most important aspects of the article was when Konnikova mentioned how neurogastronomy can help reduce the metallic taste that lots of cancer patients have when they undergo chemotherapy. Chemotherapy already takes a toll on a person's body by killing a lot of their healthy cells and tissues. Therefore, a person's body is already weak and will need all the nutrients that it can get. It's a lot harder for a cancer patient to get the nutrients they need when all of their food gives them an unpleasant taste. If we're able to find a way to "trick" the brain, the body may be able to correspond more enjoyable tastes with certain foods. The most interesting part of the text to me is the ending paragraph on page thirteen which states, "These signals, rooted in evolutionary biology, have given rise to a paradox of malnourishment amid a global abundance of food. In many countries, including England and the United States, poor diet now rivals smoking as the greatest public health risk. Malnutrition does not necessarily mean lack of food, but rather lack of proper nutrients." The way we consume food is an issue, and the text highlights that this is a world issue. This doesn't affect one particular country or region. I hope there comes a time when we are practicing more sustainable, healthy eating habits. Ehhh not the most trailblazing topic. Many of the discoveries are something I've managed to become away of just by eating.. I suppose the one that I pay attention to the most is the temperature of food. Its been frustrating communicating to people that food doesnt taste as good hot, or I drink room temp water for flavor and ice could for thirst. I suppose it's nice that there is legitimate empirical research being done about these differences I've detected before. The aspect I found most useful was the explanation of the difference between "flavor" and "taste". This is important because Maria Konnikova explained that they are two different concepts because taste is flat and relies on other senses to give us more of an experience, whereas flavor is more mental and pairs the sense with a thought or an association (pg. 12). This is important because Konnikova then goes on to explain how when we can control flavor, we can control what we eat. This idea is reinforced by our media and industry where fast food and unhealthy habits are significantly cheaper than healthier options. One can get a burger and 10 chicken nuggets for a price almost $5 less than a healthy sandwich or salad. If we could switch our thought process of flavor to view healthy foods as tasty, then we can push the obesity rate lower and start improving ourselves physically. Altered Tastes was one of the most interesting articles I ever read. I say that because, it made me reevaluate why I like certain foods. In the beginning of the article, Konnikova writes “His research has shown that flavor, a complicated and little-understood concept, does not originate in what we eat but in what our minds derive from the experience (11). I found this statement to be debatable, because what about bad experiences with good food? I have had some bad experiences at certain resturants but I still believe their foods are good. I think this article does not explain the opposite of their argument well, but I do think that their claim is valid. I try to lead a very healthy lifestyle and do research on food often so this was a very interesting read for me. I find it fascinating how smell and sight can affect taste. It reminds me of how my mom says, "ne mange pas avec les yeux," which translates from french to don't eat with your eyes. It was very interesting to see why we like certain foods and not others. Especially knowing highly addictive properties sugar and other foods have. This article is interesting all around to me because it ties together food and the human body. Many people know that the brain is an important organ in the body but many people don’t know exactly how or why and I think this article gives a good example on the brain role in food intake and taste. The aspect of Konnikova’s article that I found most interesting is when she explains how we generally consume food that gives our body energy rather than focus on the taste of food. The author uses the example of an experiment done with mice where they chose water with real sugar rather than plain water because somehow their brains learned where the energy source lay” (16). This article is incredibly interesting because it allowed me to understand some of the recent popular food experiences or candy discoveries that trended on twitter. For awhile everyone was saying all skittles taste the same, but it was the color that made us taste specific flavors. This ties nicely with a comment on page 12, "our sensory and motor appreciation of what we have in our mouth is created by the brain". This is further supported by the rise of "Anti-service restaurants', where part of the dining experience is to be mocked, ignored etc. Normally if someone received this service at a restaurant, not only would people complain about staff, but likely the food as well even if it was good. Those anti-service restaurants allow us to trick ourselves almost by disjointing service vs food quality. I found this reading to be very interesting as the article involves food and science, two topics that are very intriguing. I also learned about a new study called Neuragostromy. Before I had never heard of the term but now I know that it is the study of how flavor perception affects cognition and memory. A quote that was interesting to me read, "Control flavor and you control what we eat-and perhaps, given time and more research, begin fighting the global nutrition problems that are a direct result of the industrialized production of food” (p12). I found this to be very cool because it makes me think how we can solve issues of obesity simply by manipulating the flavors of certain foods. I found the phenomenon of "thermal taste" that was discussed on page 19 to be the most interesting part. The author says, "We have fibers that get excited when we warm them up, which might make a food or liquid taste sweeter than its sugar content warrants." (19). Ive always noticed that when i drink hot coffee it is always sweeter than iced coffee. Ive never really understood why this happens, so its interesting for me to read about how temperature can affect how sweet something will taste. What I found most interesting about Konnikova's article is shows and explains how food and the human body/ brain interact with each other. In the text it says "Our preferences for salt,sugar, and fat evolved within the context of our species historical nutritional scarcity.These basic taste are the echoes of prehistoric signals that saw humanity through epochs of less abundant food sources." This explains how we developed a taste and preference for certain food. This has taught me a lot about how the human body works. This article is especially relevant to me because I love food, and I love to eat. I find it very interesting that they are using science and what we know about the brain to increase our enjoyment of foods. I love this fact because it makes me hope that one day we could use science to make the foods that are good for us, taste good too. The most noteable portion of the text to me was when it read, “The fact that why we eat what we eat originates in the mind rather than the palate is a powerful one. Properly harnessed, it could prove to be the key to succeeding where so many other nutritional interventions have failed” (26). I think this is important because these methods and research could improve the efficiency of diets and clean eating. In reference to health issues related to diet such as diabetes and obesity it can also contribute to the decline of these issues and I think that is very critical in today’s society. Altered Tastes was one of the most interesting articles I ever read. I say that because it made me reevaluate why I like certain foods. In the beginning of the article, Konnikova writes “His research has shown that flavor, a complicated and little-understood concept, does not originate in what we eat but in what our minds derive from the experience (11). I found this statement to be debatable, because what about bad experiences with good food? I have had some bad experiences at certain restaurants but I still believe their foods are good. I think this article does not explain the opposite of their argument well, but I do think that their claim is valid. I found interesting how the author distinguishes between taste and flavor. The author states that, "Taste is an experience composed of only five elements: sweet, salty, bitter, sour, and umami...taste is merely a flat, single-note sensation...Flavor is at once a broader and more powerful property than taste, one that marries the senses and their associate properties... (p.12)" This statement explains why I love food. LOL This statement also led me to look up what umami means and according to Google it means: a category of taste in food (besides sweet, sour, salt, and bitter), corresponding to the flavor of glutamates, especially monosodium glutamate. All around this article was definitely interesting seeing as though I love health and nutrition so much so that I should have majored in nutrition. “And with the capacity—truly an example of mind over matter—instead of stimulating appetite via the connventional and unhealthy trifecta of salt, sugar, and fat, we can employ the neural pathways through which flavor is constructed in the brain to divert attention to different, more nutritious foods.” I believe that this is one of Konnikova's most useful or interesting quotes. She points a very important factor with the saying of “mind over matter.” Just from experience I know how much it plays a part in what you choose to eat. The foods that look more appetizing or appealing is the one we will more likely choose to eat. I found this article very interesting because a lot of the time I find myself eating out of necessity and I fail to stop to recognize the experience of food itself as Konnikova talks about. From the way food is cooked, the way that it is seasoned, and the way it is consumed all having a brain and bodily impact on human beings is very interesting. I have never learned about Neuragostromy so I appreciated this reading. One thing that really interested me in this article was when the author talked about the experiment to be done that was meant to focus on the relationship between the brain, and the amount of sugar or caloric intake needed. It is sort of interesting and confusing to me, knowing that it is possible for the brain to tell when its fooled. The part i found interesting is the concept that like any other art there is more than just a physical part to conquer. The Author said Bluementhal is one of the worlds top leading chefs and it only makes since that after a chef physically conquers his art he would move to Enhancing his food with The Experiences he attaches to it. Altered Tastes by Maria Konnikova was especially interesting to me because I love food. This definitely opened my eyes to trying more foods and thinking about why I like and dislike certain things. Konnikova states “His research has shown that flavor, a complicated and little-understood concept, does not originate in what we eat but in what our minds derive from the experience” (11). I found this really intriguing because it did not even cross my mind that we associate good food with food experiences. The thing I found most interesting about the article "Altered Tastes" by Maria Konnikova was the fact that the mind can be tricked by the experience you have while eating it. On page 11 it was stated that flavor is originated in what our minds experience. ALso, it made me bring light to the fact that a lot of times I find myself eating out of boredom. Sometimes I do not actually pay attention to the taste of the food so long as I'm eating. Before reading this article I knew that we immediately judge how a food will taste when we see it, I also knew that about 50% of taste comes from our sense of smell. I found this article interesting because there were a lot of experiments on how the brain effects how we taste things. I don´t think many people think to much about what they eat and how it is prepared and every spice that goes into the dish. This article was very interesting because it shows how taste can be changed based on the experience despite what the person sees. As I was the section assigned, the beginning caught my attention quickly because of the name of the restaurant, Fat Duck. To me, Fat Duck does not seem like a restaurant worth spending 3.6 million dollars on or any restaurant at the matter. Yet, the author continues with the story explaining how change is important. Then, I began to understand why they put so much money into revamping the restaurant. A line on page 14 stuck out to me because it stated that in modern society healthy and flavor are opposites. That was interesting because when you sit back and think about when people are consuming healthy greens most people respond with disgusted gesture and or remark. Also, people that tend to crave flavor go for unhealthy options. Tatyana C.
I enjoyed this article a lot since I do cook a lot. It was interesting to see how certain flavors of food can have an effect in your neural activity. Many people usually eat without wholly thinking about what exactly is in it which is quite interesting. I just think it was interesting how a perception or taste of a meal can change based of life experiences. This article took my interest because it talked about my love of food. Food is not just something you consume everyday, it is apart of our culture, tradition and personal interest. The word and study of neurogastronomy was something i have never heard of. It is interesting to see the different careers out there. I couldn't agree more with that. We have to train our brains to think otherwise. Overall, the entire article was interesting because i love food. So, food being discussed is intriguing enough. The most interesting thing to me was on page 19 when the thermal taste idea was discussed. This was the most interesting to me because i never thought that the temperature of food would cause me to have a preference for it. I thought it would just be the taste. The most interesting part was on page 15, where Konnikova states "..bodies derive energy and flavor signals from food via the brain. It's not about calories.....it's a far more complex process of taste perception." This stuck with me because I have learned about the process of satiety and appetite through my classes. The idea behind taste derives from a signal to the brain from our optical, olfactory, and physical senses. The body uses flavor as a way to make food appetizing. Konnikova’s article was very interesting in the way that food is such a huge part of who we are an an American culture. There are TV shows, game shows, and the like all centered around food and how spices come together to create new flavors- and in turn, what you think. Considering this, I was reminded of how certain smells can make you remember distant memories. This was really cool to think about because I never considered how important our connection was to something we take for granted and encounter everyday – food. The part that seems most interesting to me was about our intake of sugar. "Today our consumption [of sugar] tops over 100 pounds [a year]. (By way of comparison, we eat about 50 pounds of beef. )"(pg 15) It is mind blowing to see that we consume double the amount of sugar compared to beef which we often eat as a main part of our meals. This article is interesting to me because it made me think about all the foods that I don't like and it may be because of my experience while tasting it. One fact that intrigued me was the idea of thermal taste. The fact that I could not like a certain food because of how hot or cold it is interesting. One aspect of Konnikova’s article that I found most interesting was how many food companies tried to replace ingredients in their products with ones that would be seen as healthier substitutes (ex: margarine & saccharin) but they actually nose no better health benefits. It’s crazy to me how companies will market certain things to be healthier, and then us consumers will believe them even if their claims are false. It makes me think about the types of foods that I choose to buy and eat. I thought that one thing interesting in this article was when it brought up how parts of our body can actually alter the way we taste different foods. I didn't know that and that definitely taught me something new that was quite striking. "We have fibers that get excited when we warm them up, which might make a food or liquid taste sweeter than its sugar content warrants" (p. 19). It definitely makes sense though because for example, one person could say that a cup of tea is too sweet and another can say that the same cup is not sweet enough. pg. 13 "You can eat five meals a day and still be malnourished." This was a very interesting point to me because when I picture someone who is malnourished, it is someone who has very little access to food and is physically skinny and frail. This is a huge misconception of my own. It makes me think about my diet and the types of nutrients I lack. It is alarming to think about myself as malnourished. Shelby W.
My absolute favorite aspect of Konnikova's Altered Tastes was on page 19 "Control flavor and you control what we eat - and perhaps, given time and more research, begin fighting the global nutrition problems that are a direct result of the industrialized production of food." This topic meant something to me because I like to believe that I am actively observing what I eat while also believing in her idea that her findings could actually help the worlds nutritional problems in a purely positive way.